We are a small company with responsibility for big brands and a global reach. At WD-40 Company, everyone is a key contributor. We foster a strong culture of learning and accountability in a collaborative, team environment. We seek people who share our values and strive to leave positive lasting memories in all their interactions. If there isn’t a position available today, we invite you to register your interest so that when a position does become open, you are one of the first to know about it. We live, breathe and play by our values every day. I couldn’t ask for a better internship after graduating from university. 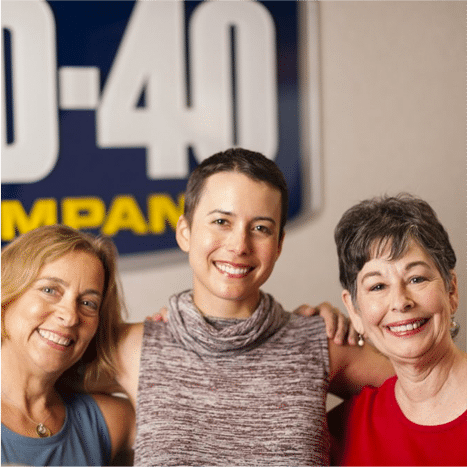 The WD-40 Company tribe welcomed me with open arms. After a brief orientation I was able to make an immediate impact on fun and creative projects. I have enjoyed many opportunities to learn and develop with the support of professional training, mentors and excellent leadership. I feel genuinely lucky to have found such an amazing place to work. One of the many things I love about WD-40 Company is that we have a supportive and tight knit family culture. We work together to achieve our personal career goals and team objectives. We truly live the value, ‘we value succeeding as a team while excelling as individuals’. I enjoy working with a fun and diverse team all over Europe. I am always out and about travelling, learning, solve technical problems for our tribe members and leaving positive lasting memories wherever I go. Smiling familiar faces make it all worthwhile. 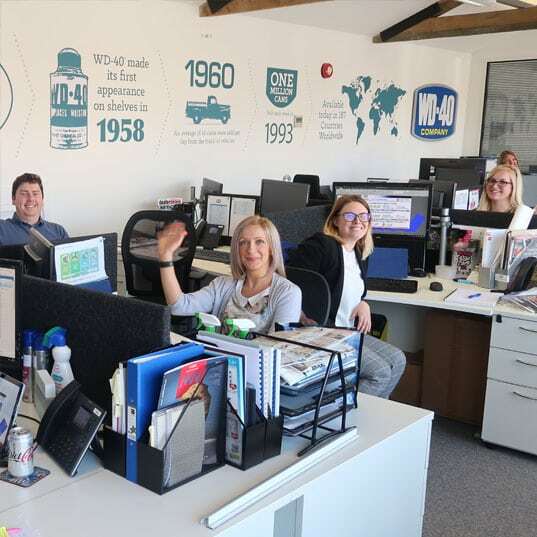 I think the best thing about WD-40 Company is the people – everyone is so friendly and supportive. Together we all strive to live our values and be the best stewards of our brands. The I.T. team is very fun and positive. We have more than jobs – we have a supportive, learning orientated family culture where our careers can thrive. Do you have a yearning for learning? Great! A key attribute of our tribal culture is teaching and learning. We strongly believe that developing and strengthening our tribe from within is critical to our continued success. All tribe members interested in learning have access to comprehensive training and development programs in our Competency, Leadership and facilitation Teaching workshops, which we call Learning Laboratory.